Calflee is situated on the eastern side of the Walsden to Littleborough valley, nestling amongst the undulating hillside near the township border with Blatchinworth and Calderbrook. There were two farms on the estate, Calflee and Calflee Cote. Some of the early occupiers of Calflee went by the names of Whitehead (1685), William Bins (1688), Abraham Crossley (1704), "Rough" Paul Greenwood (1708), John Clegg (1716), James Stansfield (1719) and Samuel Woodhead (1725). The estate passed on to James Scholfield. He married SUSAN FIELDEN of nearby KNOWLTOP FARM at St. Chad's in 1731. They lived a middle-class life as hill farmers on the top of these eastern slopes of the Walsden valley. Financially they were comfortable, but life was none the less hard. Susan was a devout Christian lady, and after a shaky start the pair became good friends with the Revd. William Grimshaw, whose life is well documented. Their sons, John and James, took over the estate on the death of their father in 1775, although after their respective marriages, neither of them continued to live there. Their mother and spinster sisters remained at the old homestead. They were joint owners of Calflee, paying a land tax of between 9 shillings and 10s 4d a year. However, James owned Calflee Cote outright, paying a land tax of just 10d. From this it can be assumed that all the farming land was attached to the main farm at Calflee, and the Cote was simply a cottage. John married Betty Scholfield and farmed at Knowltop all his married life. His wife became known as TH'OLD DAME AT KNOWLTOP. John died in 1797. His brother James married Mally Fielden of Bottomley and farmed at neighbouring Lodge Hall Farm before moving to Todmorden to start a joinery business at premises on North Street, being responsible for making the coffins for the pauper funerals. He became a respected member of the Todmorden community, rising to an elevated position in life. He was appointed as a church warden at St. Mary's, and also as the Land Surveyor for the township. He started a dynasty of SCHOLFIELDS in Todmorden. He died in 1823. The estate then passed to another set of brothers, James (1777-1840) and John (1786-1877) Scholfield, sons of the above John and Betty of Knowltop. James married Sally Fielden and they lived variously at Calflee and BOTTOMLEY, which was Sally's family home. They raised 5 children. He was one of the first trustees of Lanebottom Sunday School when the new building opened in 1818 along with his brothers John and Abraham and his son John the younger. James, who was a joiner as well as a farmer, died in 1840. His widow Sally is at Calflee Cote in 1841 with some of her grandchildren. Their son William succeeded to the farm with his wife Hannah (Dawson). William was born at the farm in 1800 and died there in 1855. James' brother John married Betty Wilson in 1806. They lived at Calflee for the rest of their long marriage, producing a total of 12 children. John is still there in 1861, a widower aged 74. He was a farmer and shepherd all his working life, and was a great contributor to LANEBOTTOM CHAPEL AND SCHOOL. He was so respected by his fellow Wesleyans that on Christmas Day 1874, when he was 88 years old, he was asked to cut the first sod of the new ground on which the new Wesleyan Chapel and School at Lanebottom was to be erected. Their daughter Susan married James Dawson and they settled at Calflee Cote where they remained the rest of their married life. James was a stone merchant, employing several men, and also farmed 5 acres of Calflee Estate. After the death of his brother James, John and his nephew William farmed the estate between them for 15 years, each of them responsible for 20 acres of land. In 1865, John, then aged 79, left his lifelong home to spend his last years with family at Summit. He died in 1877 aged 91 years. When he vacated the farm, the whole estate was put up for sale. Auction by Mr. William Greenwood at the house of Mr. J. Howarth, the Golden Lion Inn, in Todmorden, on Thursday the thirty first day of August at seven of the clock in the evening, subject to such conditions as shall be then produced. ... Also several acres of enclosed common land or rough ground which are held as part and parcel of the said farm. The premises comprised in this lot are of freehold and copyhold tenure. The copyhold premises are in the Manor of Rochdale and are subject to he yearly rent to the Lord of the Manor of 6s 8d. The farm is at present let as two farms, which are in the several occupations of Robert Scholfield and James Dawson, at the yearly rent of £17 and £15-8s. It isn't known if the farm was sold at this auction, or if so, who bought it. However, it is known that a John Crossley from Blackstone Edge owned the farm in 1871. He is living in a cottage on the estate that year with his wife Elizabeth. She was a daughter of the last owner, John Scholfield, and either John Crossley bought the farm or his wife inherited it. Either way, John Crossley was the owner. In 1880, and before his death, John Crossley settled the Calflee estate on his son William, who was farming 25 acres there in 1881 whilst his father worked for him as a shepherd. Apart from the two farmhouses, there were about 5 other cottages in the mid to late 1800's. 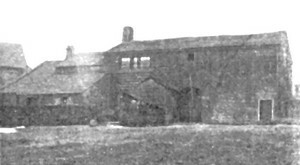 The occupants of the cottages were concerned with working in the cotton industry and also the local stone quarries that cover the surrounding hillsides. There was also a cottage reserved for the family of the keeper of the nearby Inland Waterways Reservoir. William Crossley occupied this post for a while before his father settled the estate on him in 1880. In its hey day the estate was about 40 to 50 acres. The Crossleys and the Scholfields had all gone by 1891. The farmhouses are still there today, nestling amongst the meadows, pasture and moorland.